Given the long hours truckers drive day after day, it should not come as a surprise that a common cause of truck accidents is driver fatigue. Fatigue can have the same negative effects on a person’s driving ability as being drunk. When a trucker continues to drive when fatigued, he can fall asleep at the wheel, have slower reaction times, ignore warning signs of a crash, and have impaired reasoning and judgment. 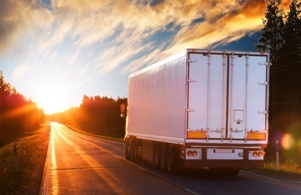 If you were injured in a truck accident, the truck driver may have not only been drowsy, but he also may have violated federal hours of service regulations governing how long he can drive. However, proving a violation of these rules may be harder than you think. He is allowed 14 consecutive hours in which he can drive 11 hours as long as this follows being off duty for at least 10 consecutive hours. If more than 8 hours have passed since the trucker’s last off-duty period of at least 30 minutes, he must take a 30 minute break before continuing to drive. He can only be on duty 60 hours during 7 consecutive days if the trucking company does not operate every day of the week or 70 hours during 8 consecutive days if the trucking company is in business all week. Truck driver logbook. The trucker was required to complete a logbook while he was on the road documenting the hours that he drove and when he took a break. This is only the starting point of a thorough investigation because the truck driver may have falsified it either before or after your wreck. Electronic logbook. Some trucks are equipped with an electronic logbook that could replace or supplement a print logbook. By comparing these two documents, an attorney may find glaring inconsistencies in recording of hours on the road driving and rest breaks. Cellular records. Cellular data is crucial evidence that can prove hours of service violations. This can include phone records, text messages, emails, and GPS information. Because the trucker and trucking company will not expect others to read text messages and emails, the information contained in these communications can be very revealing. In some cases, they can show that the trucking company encouraged the trucker to drive longer than allowed. Electronic device data. Many commercial trucks are equipped with electronic devices, including a GPS, that record the truck’s speed, braking usage, and location. The data on these devices can show the truck’s location, which can help determine how long the trucker had been driving, and should be obtained quickly before it is recorded over or destroyed. Food and gas receipts. Receipts for meals, gas, and tolls will have the date and sometimes the time stamped on them. These documents can help your attorney track where the truck driver was and when he took breaks to eat or rest. Bills of lading. Shippers will often time-stamp bills of lading with the time of the pick-up and delivery of the goods. This information should be checked against the logbook for inaccurate information. Maintenance records. Maintenance records for the truck can show when it was taken in for service and the location where the work was performed. If these records do not match those of the logbook, it can be evidence that the logbook has been falsified. These are just some of the documents that can be utilized to prove hours of service violations. If you or a family member was injured in a truck accident that was not your fault, you need to retain an experienced truck accident attorney immediately to begin the investigation of your claim before vital evidence is lost or destroyed. To find out how Chris Hudson, LLC, can help you, contact us online or call 888.795.6261 to schedule your free case evaluation.